Welcome to the first newsletter of 2010! 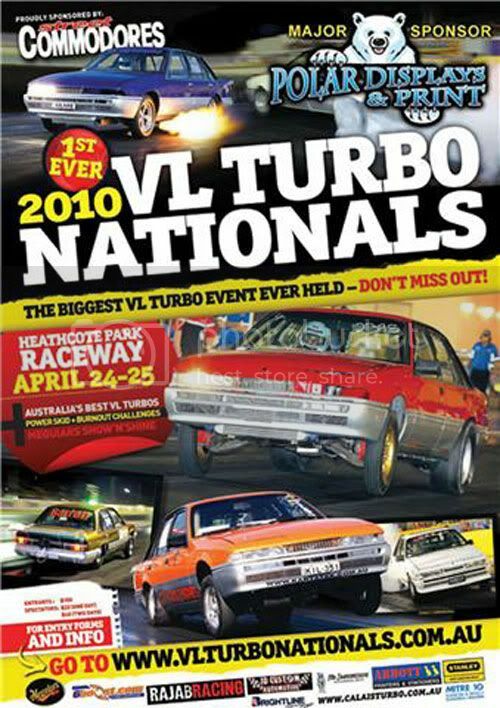 Well for the last few months it has all been about the upcoming VL Nationals at Heathcote Raceway. If you have been living under a rock for the last month or so make sure you check out all the latest info and get your tickets at www.vlturbonationals.com.au and support the event. More on the nationals later in the newsletter. Below is the list of current CalaisTurbo.com.au sponsors. Support the guys who support our community! STOWLN - 12Volt Customs / Spot On Auto Electrical - Auto Elec.